My favorite part of teaching is meeting with my small groups! For me, it is an awesome time to work closely with my students, catch their mistakes before they became habits, and really customize my teaching to fit their individual needs. Small groups can be magical! Well, that is if the rest of your class isn't running up the walls! After years of setting up my math centers (Math Workshop), I learned some strategies that have helped me be successful. Here are some tips that will help you have a great start with center time, and keep them going strong all year long. 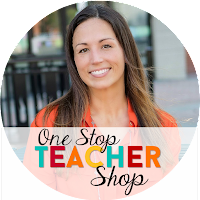 When creating your daily center schedule, keep it real! That's right! Don't set yourself up for failure by trying to fit too much into a short period of time. First, figure out how much time you have. Next, decide how long you would like each rotation to be. Then, figure out how many rotations you will be able to have each day. Finally, add in a few extra minutes between each rotation for transition time. This is your "realistic" schedule! Here is what my schedule looks like...I will tell you that my schedule is not like most teachers' schedules. I prefer to teach 100% in small groups, and I had 90 minutes for my math block. In this schedule you will notice that I had 4 rotations, and met with all four groups each day. 2. Pick Activities that Count! 1. Math Game - any game that covers the current skill we are working on. 2. Review Game - any game that covers a skill we have already learned. 3. Calendar Math - You can learn more about this HERE if you don't know what it is. 4. Technology - Some type of program or website that my students can work on to sharpen their skills. I love to incorporate the smart board here as well. 5. 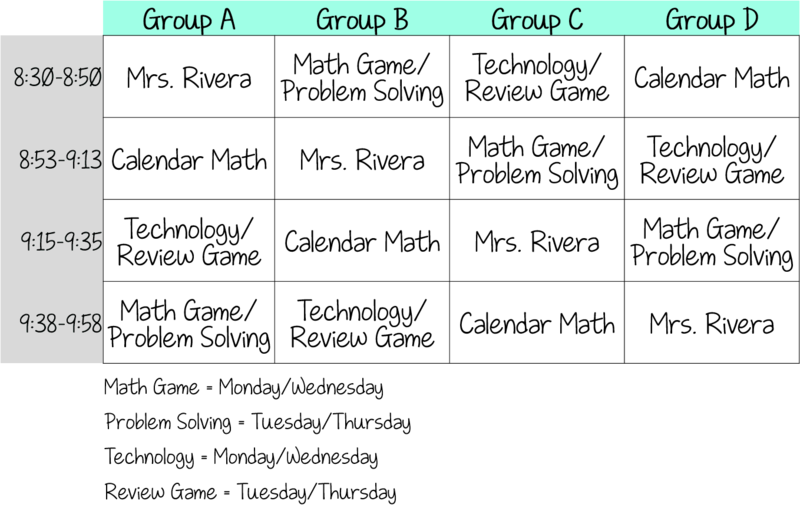 Problem Solving - This is an extensive word problem that requires my students to use a graphic organizer to plan out their strategy, and explain their thinking. 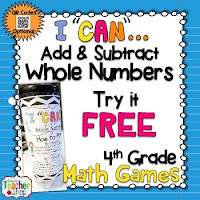 I have found that the more I prepare for math centers in the beginning of the year, the more successful they are, and the more likely I am to actually do them. 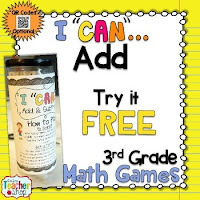 One way to prepare is to pull together a collection of math games, and get them ready for use. This process can take some time, but once you are done, you are set for the year! First, think about each standard/skill you teach. I like to make a list of the major concepts I know I will be covering. 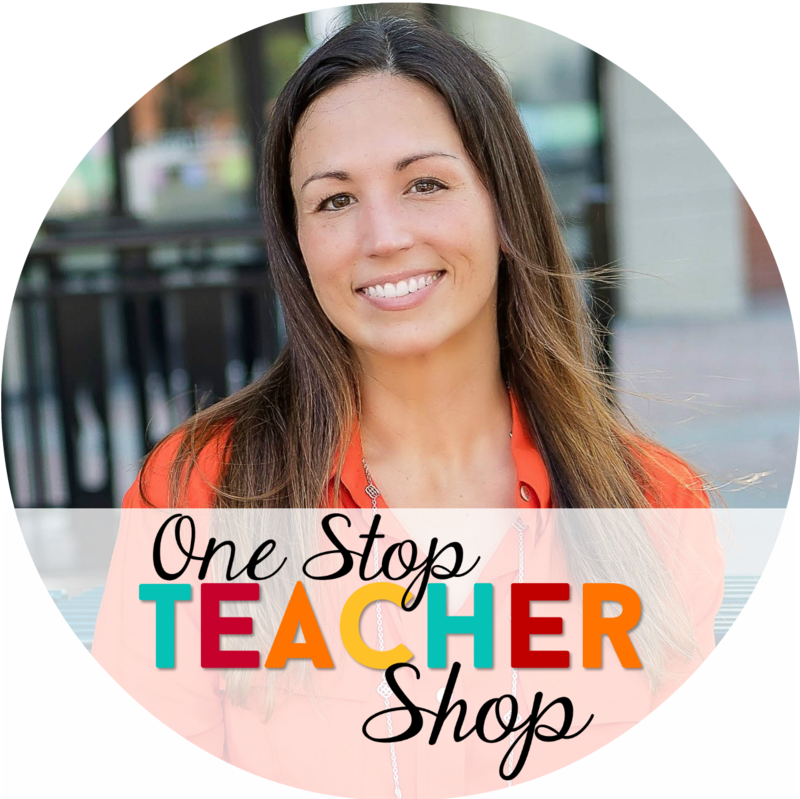 Next, start scouring the internet, the filing cabinets, or even other teachers' classrooms to find some games you can use for each skill. You will want to have maybe 2-3 different games for each concept. Finally, once you have the games printed and gathered, put them together so that they are ready to use. Some game may require dice, a deck of cards, fraction bars, etc... While some game may require cutting, laminating, sorting, etc... No matter what the game requires, be sure to get it all done now, so you don't have to worry about it later. The good news is, once you are done prepping your games, all you have to do is change them out once a week. Simple! 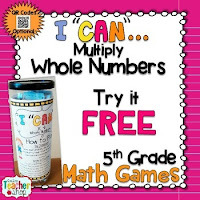 Here are a few FREE math games to get you started. This is super important!! Don't rush to start math centers. Make sure you explain and teach your expectations and routines during the first few weeks of school. I typically spend the first week or two teaching my students how to complete the games/activities. Then I move forward and set my "rules". Once I feel my students fully understand my expectations, I do a few days (more if needed) of "mock centers". During this time I do not teach in small groups. Instead, I simply walk around and observe my students. This process sets the standard for this time of the day and lets my students know how important it is to me. 1. How do you want your students to transition between rotations? 2. What do you want students to do if they finish a center early? 4. Where can students find each center activity and the necessary materials? 5. Where should students put their center activity/materials when the time is over? We know as teachers, things do not always go according to schedule. Fire drills, assemblies, and other scheduled time outside the classroom can all get in the way of your center time. Try your best to be consistent, but don't stress if things don't go as planned. Tomorrow is another day, and another opportunity to try again. Also, pay attention to if your schedule is working! Don't be afraid to change it. 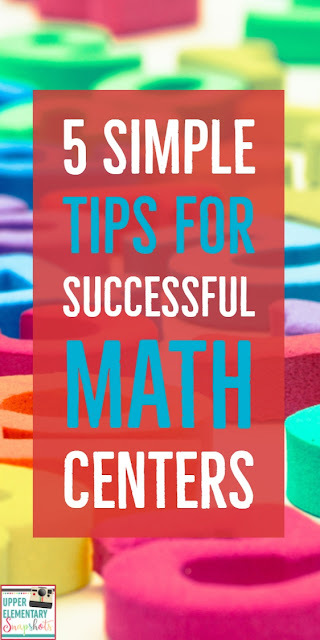 I hope some of these tips work for you and help you be successful this year with your math centers!